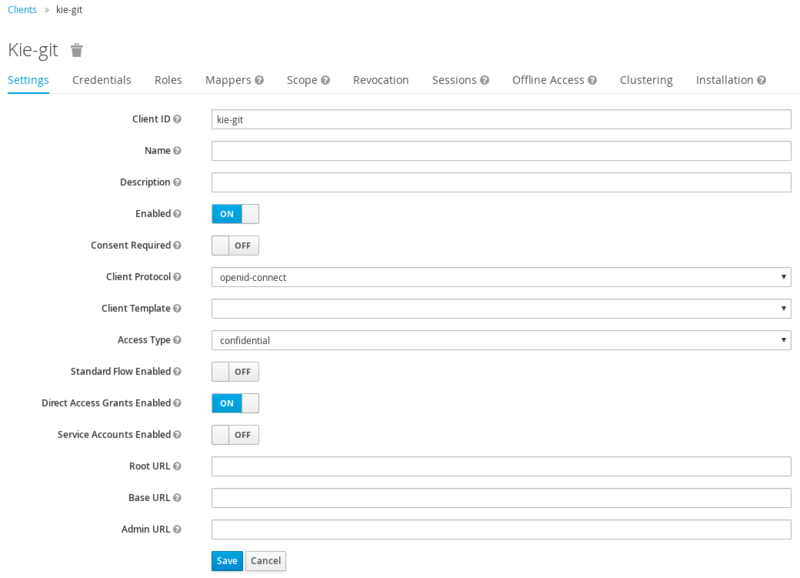 Log in to the RH-SSO Admin Console and open the realm to which you want to add a user. An empty user list appears on the Users page. Select the Credentials tab and create a password. Assign the new user one of the roles that allow access to Red Hat Decision Manager. For example, assign the admin role to access Decision Central or assign the kie-server role to access Decision Server. Click the Role Mappings tab on the Users page to assign roles. rest-all for using Decision Central remote services. If you want a more secure option of authentication, you can consume the remote services from both Decision Central and Decision Server using a granted token provided by RH-SSO. The user in this command is a Decision Central RH-SSO user. For more information, see Chapter 3, Adding Red Hat Decision Manager users.